Cape style kurtis have a sleeveless outer garment on top which drapes around shoulders, arms and fastens at the neck. This trend has its roots in medieval Europe and has made many comebacks in the world of fashion. Recently, this trend started popping up when celebs and fashioners were seen flaunting it at red carpet and high-end events. 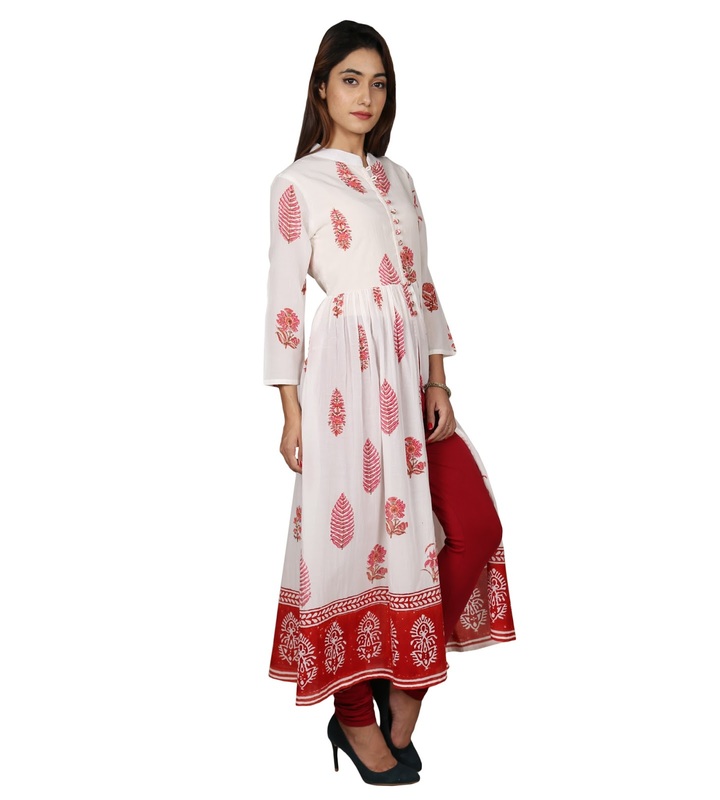 Today, cape style kurtis have become a rage amongst the fashioners due to their sheer comfort and charm. The cape is usually adorned with delicate embroidery, mirror work, sequins and other add-ons. This trend adopted from the superheroes is gradually finding its way into our closets, all for good reasons. 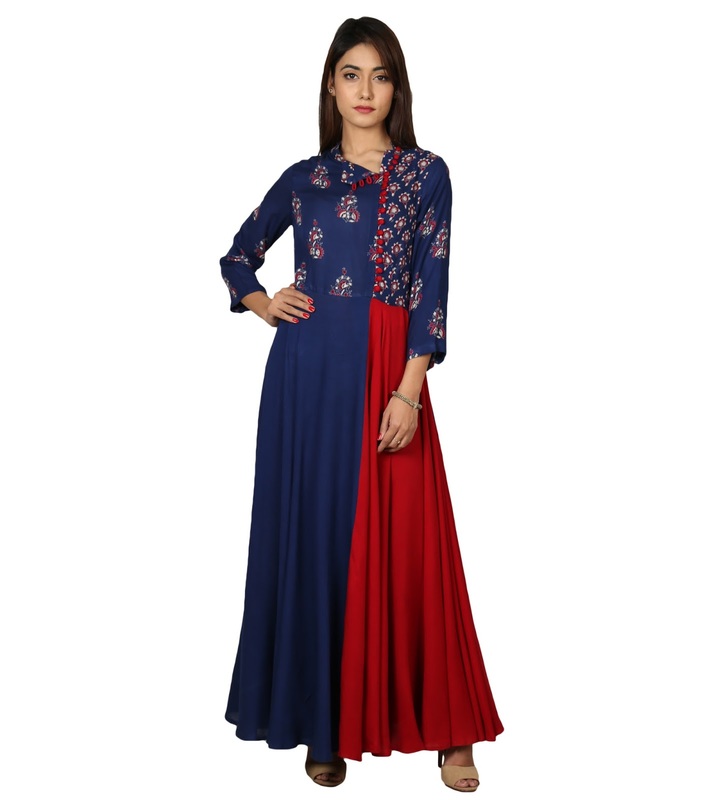 Cape style kurtis are best suited for women with apple shaped bodies, i.e., heavier at the top. It helps in covering un-toned arms and shoulders. The most commonly used cape style is the sheer cape, crafted from transparent fabrics like georgette or chiffon. Even net capes are making a huge rage in the world of fashion. Made from a see-through fabric, these capes instantly heighten the glam quotient of the wearer and expose in all the right areas. These cape styles might be adorned with fancy laces, embroidery, sequins, etc. 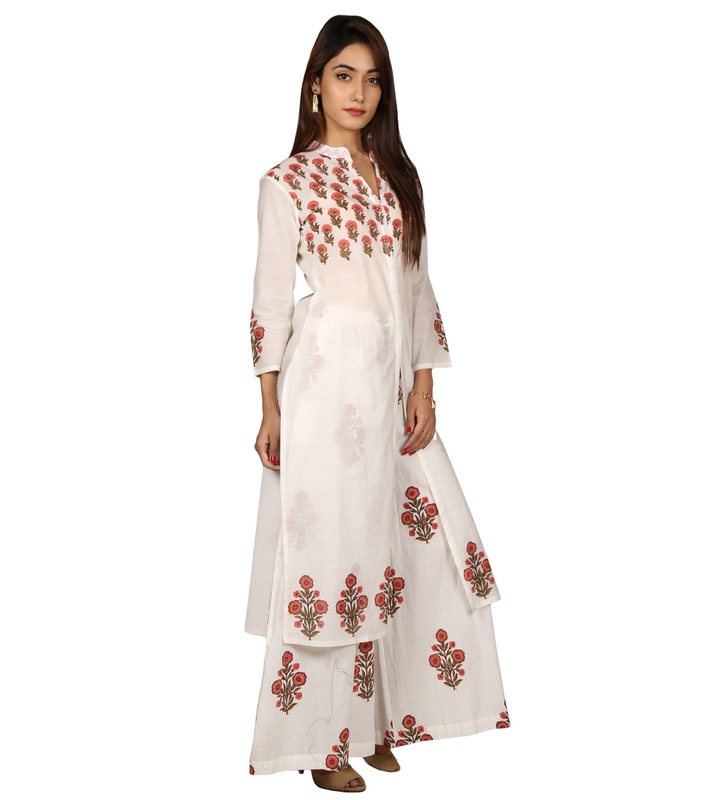 Kurtis with sheer capes can be worn at evening parties, weddings, ceremonies, etc. This is an impeccable fusion of traditional and contemporary fashion trends. Read More - Pick Up The Best Salwar Kameez With These Handy Tips! This cape is usually long in a coat style that can be worn with ethnic designer kurtis, lehengas, suits or palazzos. Long coat style capes might even be floor length and lend an ethnic touch with a modern feel. This is a bold style that is usually worn at lush parties and galas. Many bollywood celebs like Deepika Padukone and Jacquilne Fernandez swear by this fashion trend to make you stand out from the crowd. You can complete your look with a high bun and fancy danglers. Kurtis with embroidered capes at the top look gorgeously stunning. Various embroideries like zari, aari-taari, gota patti, pittan, mirror work, etc. are done on a sheer cloth to beautify and add drama to the whole outfit. This style is highly in trend in the world of vogue this year. You can wear an embroidered cape kurtis in black and gold at weddings, ceremonies and rituals. A lesser worn version of capes, printed capes can also be seen on the runway. A simple kurti is adorned with a printed cape usually in classical, animal, wild, traditional, floral, dotted, abstract or fusion prints. 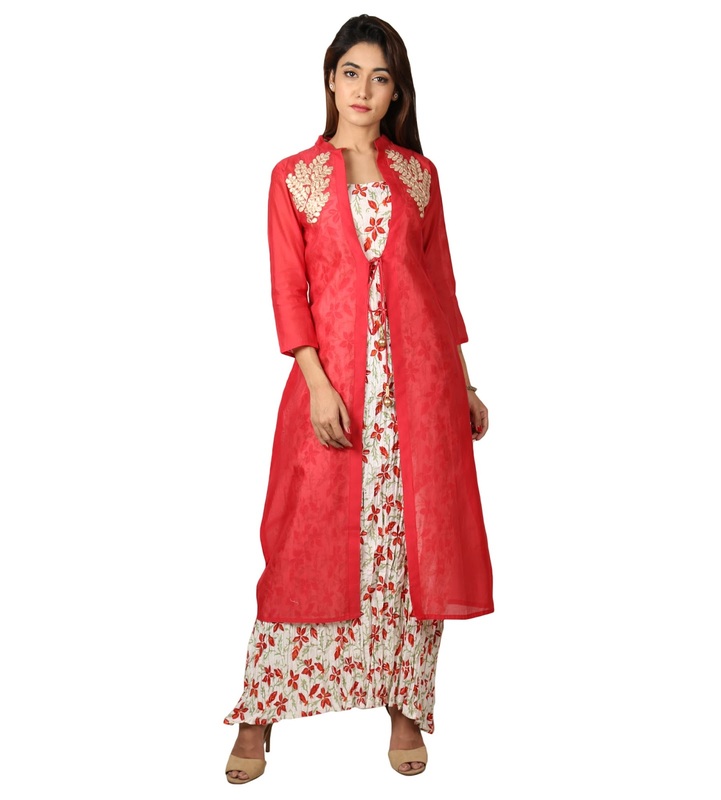 One can also use a contrasting printed cape to pair with a designer kurti. This look can be worn at casual hangouts, brunches, shopping dates, etc. A drape cape is a modern take on the Indian shawl and falls freely like a stole worn in winters. Drape cape style kurtis are famous among celebrities for an airport or a relaxed look. Almost any kind of kurti can be layered up with a drape cape and worn for a perfect off-duty look. Complete your look with a designer tote handbag, messy bun and a sassy watch. Knee-length capes finish at the knee and add the perfect charm to any Indian ethnic kurti. These capes are usually crafted from a quality fabric that flows and drapes well around the arms. This appealing trend can also be paired with tunic style kurtis and worn bottomless. You can wear a kurti with knee length cape at casual parties, bachelorette, etc. Complete your look a pair of sleek metallic heels and a designer sling. Also known as jacket style capes, button-down front style in capes looks swank and sophisticated. The cape usually ends at the waist and is left front open. 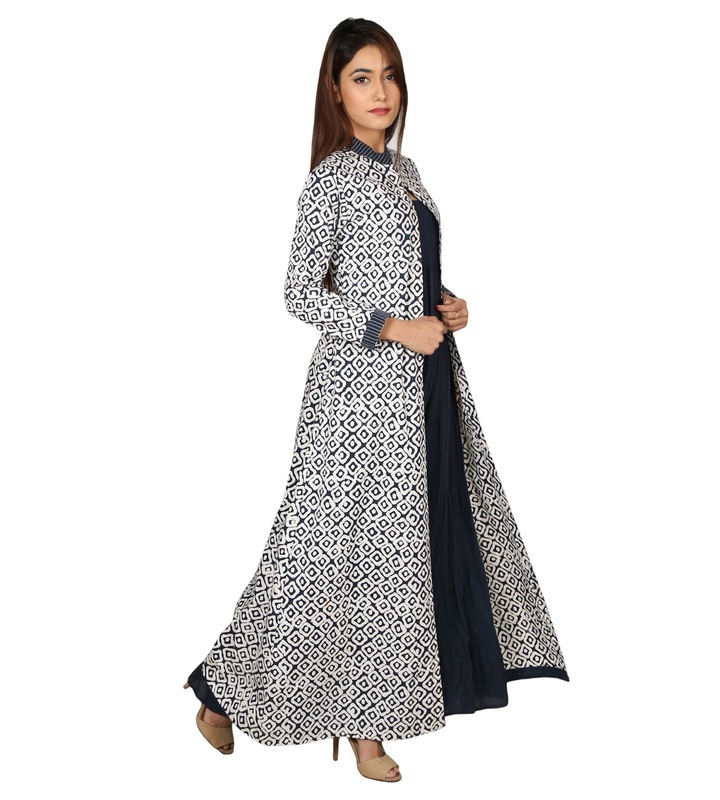 Kurtis with a jacket style cape are best worn in winters and paired with trouser salwar or cigarette pants. This ultra-modern look is best suited for formal occasions, team dinners, meetings, office parties, etc. Complete your look with block heels and stunning accessories. Now this is one trend that has been on the radar of designers and fashioners. A gown style cape kurti looks utterly gorgeous and is usually crafted form body-hugging fabrics. These are perfect for evening wear and high-end events. It is easy to carry, comfy and perfect for women with bulkier bodies. On can also pair a sleek belt along with a cape style kurti. Complete your look with a designer clutch and a swank ring. "Nikita Mathur is a fashion content writer & editor at Missprint, a forward-thinking women’s fashion line designed with a unique sense of style & vigour. She loves accomplishing tasks & setting goals. Nikita's journey in the world of fashion has been an inspiring one and she aspires to open a label of her own!"